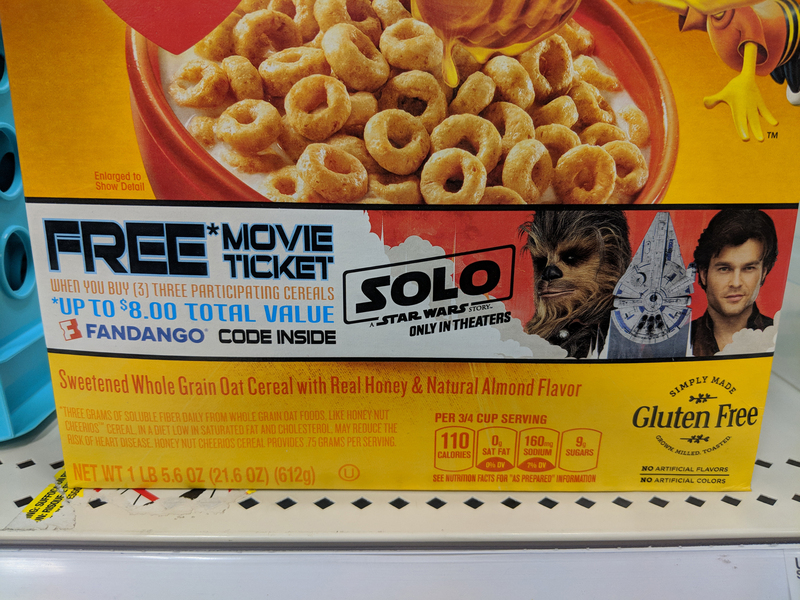 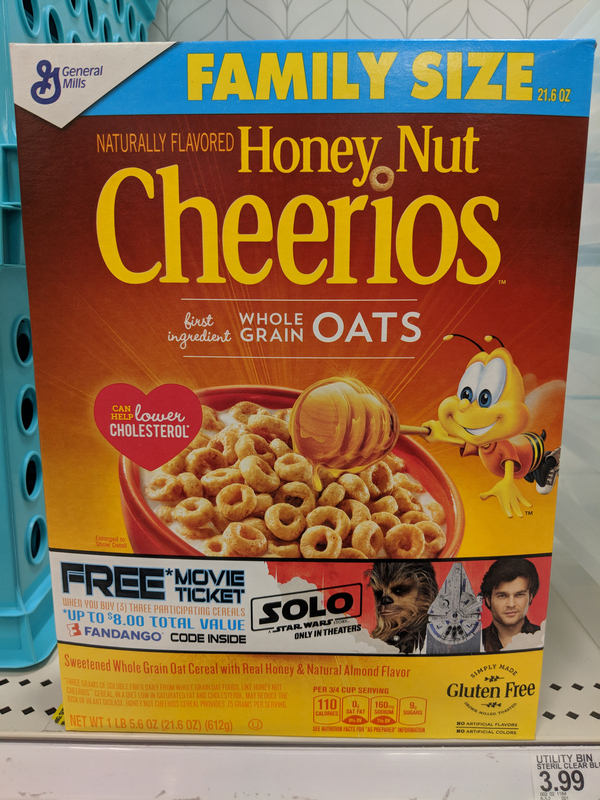 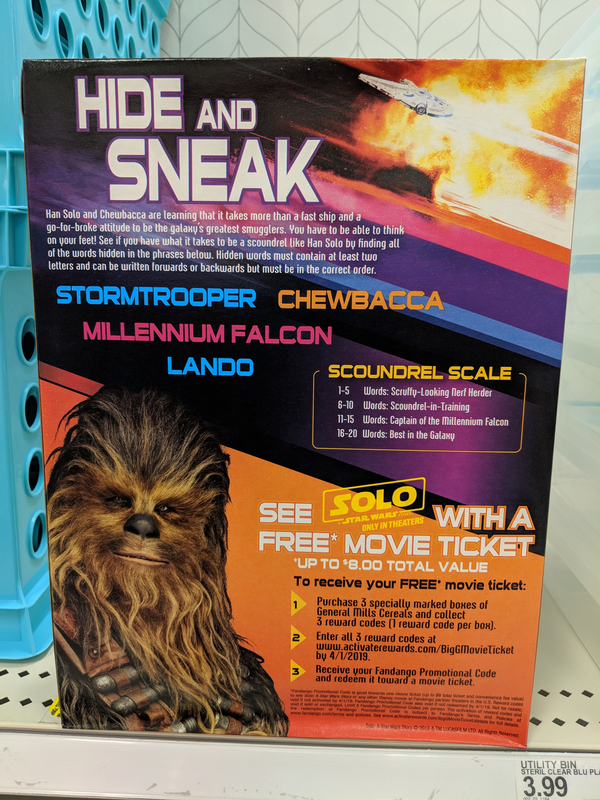 While browsing through the aisles of my local Target store earlier this afternoon, I came across this box of Honey Nut Cheerios cereal from General Mills featuring a free ticket promotion for May’s Solo: A Star Wars Story. 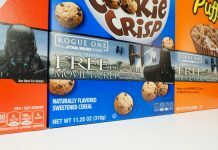 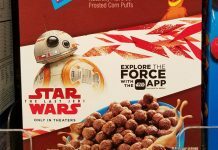 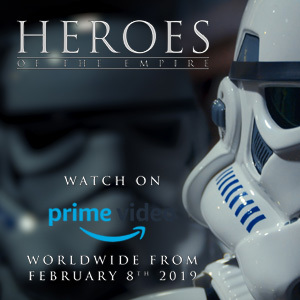 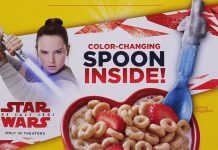 General Mills is teaming up with Fandango to offer fans one free ticket (maxed at an $8.00 total value) to the film when they purchase three boxes of participating cereal. 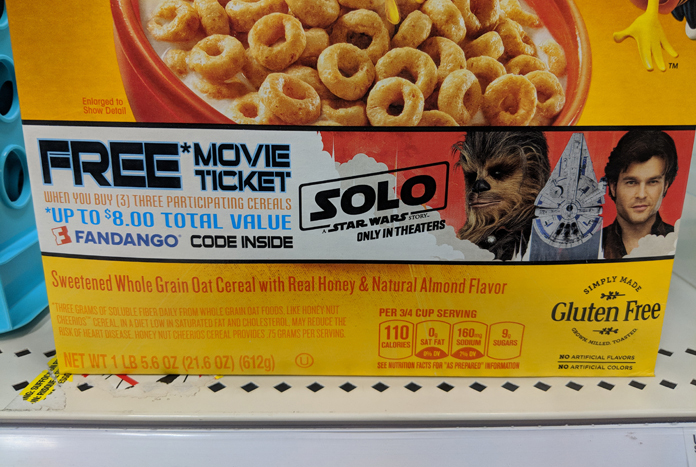 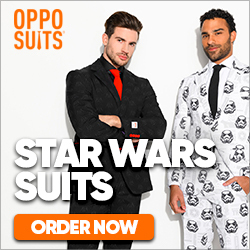 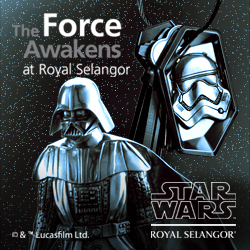 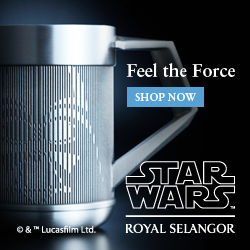 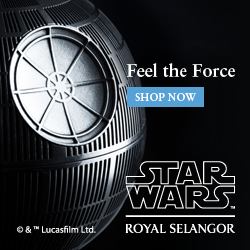 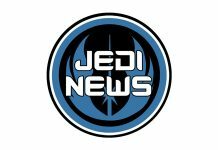 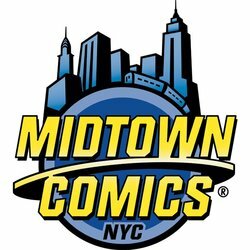 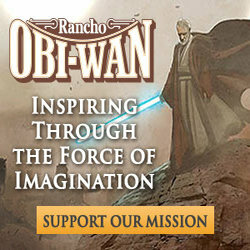 General Mills is one of six companies selected by Lucasfilm as official promotional campaign partners for Solo.